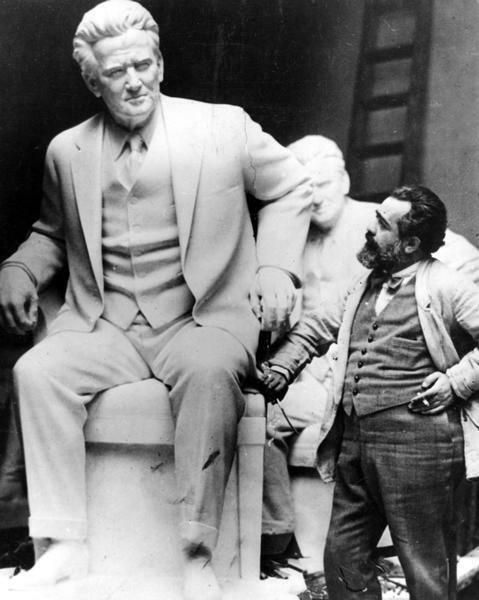 Sculptor Jo Davidson standing next to his larger than life statue of Senator Robert M. La Follette, Sr. The statue was presented to the National Statuary Hall Collection in the U.S. Capitol in 1929. Davidson also carved a bust of La Follette from life, a copy of which sits in the rotunda of the Wisconsin State Capitol.